Aghios Romanos. 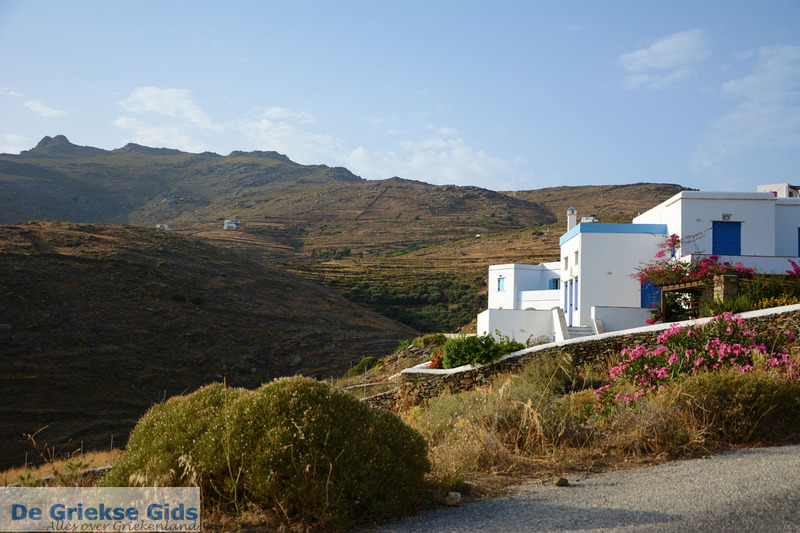 Aghios Romanos is a small seaside resort, centrally located in the southern part of Tinos island, nine kilometers (5.5 mi) west of Tinos town. 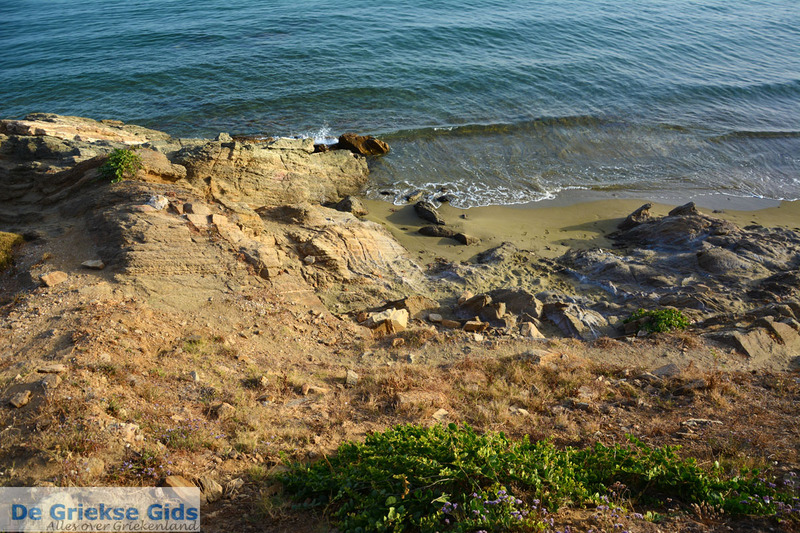 The village lies in a bay with a quaint harbor and a sand-pebble beach. On the beach, umbrellas and sunbeds are for hire and at the edge of the beach pine trees provide shade. Aghios Romanos has no real village center. 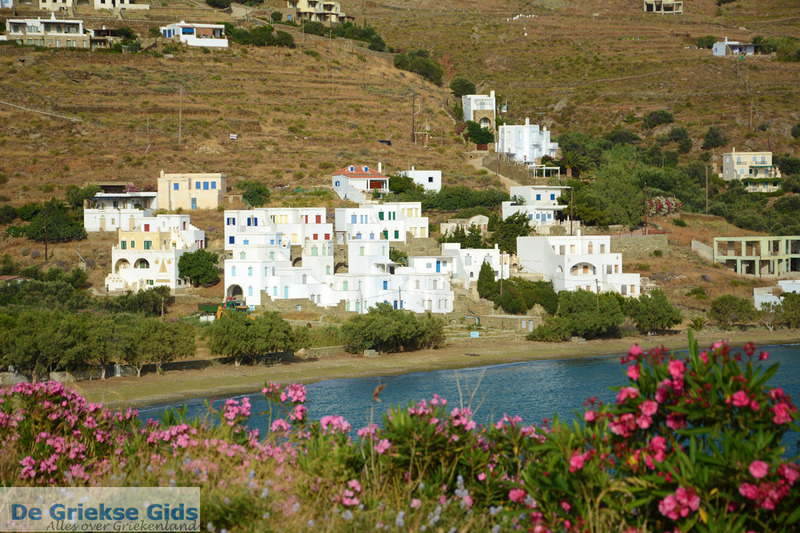 More accurately, it is a hamlet created through tourism, because of the nice beach and sparkling, crystal clear sea. On the beach, several new hotels and apartments are found. Snorkeling is one of the main attractions at this beach. 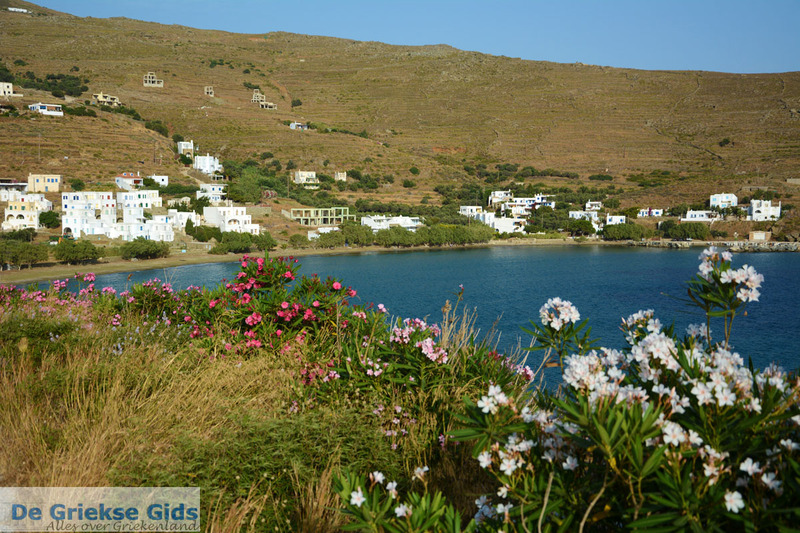 Although tourism has seeped into the area, and accommodations are now plentiful with many places to stay, Aghios Romanos is still a place where you can relax, in tranquil surroundings, far from the big tourist crowds. One tavern, and only one tavern, feeds travelers and residents. 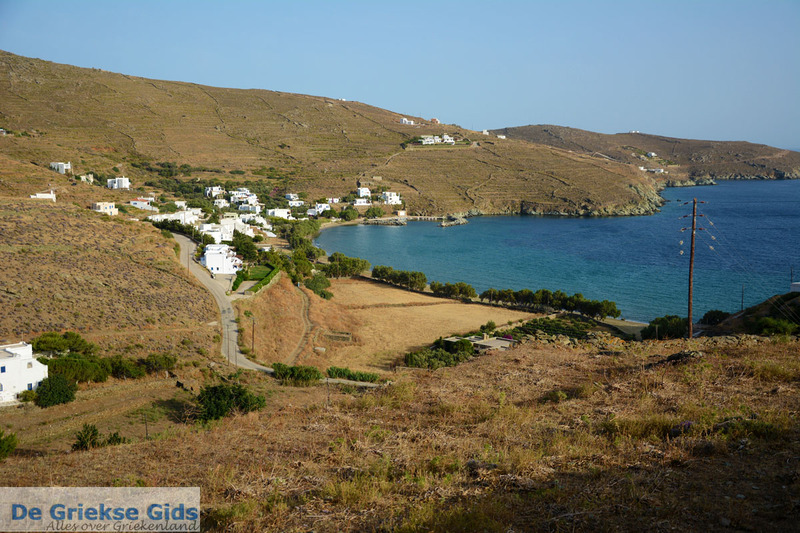 From Aghios Romanos you have stunning views of the islands of Syros and Kea lying opposite. 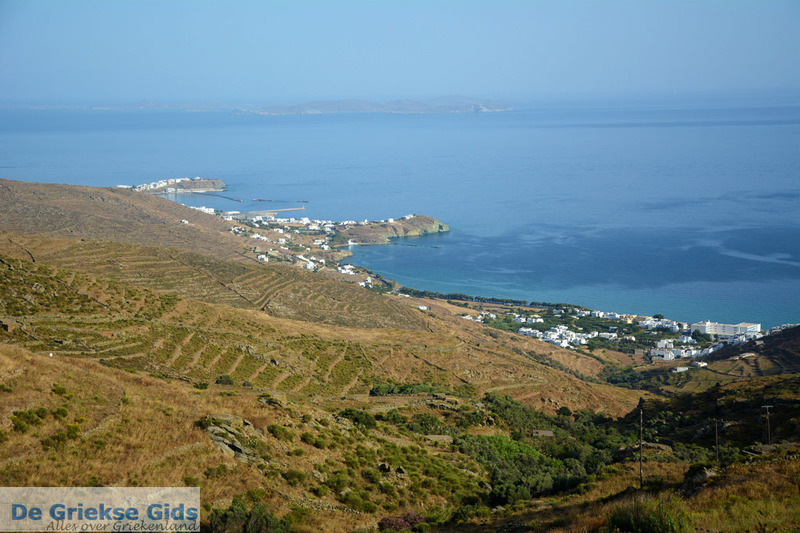 You can go to Aghios Romanos through Tinos town, towards Pyrgos, then you reach a sign directing you toward Aghios Romanos. There is also a shorter alternative route, but this alternative is a dirt road. 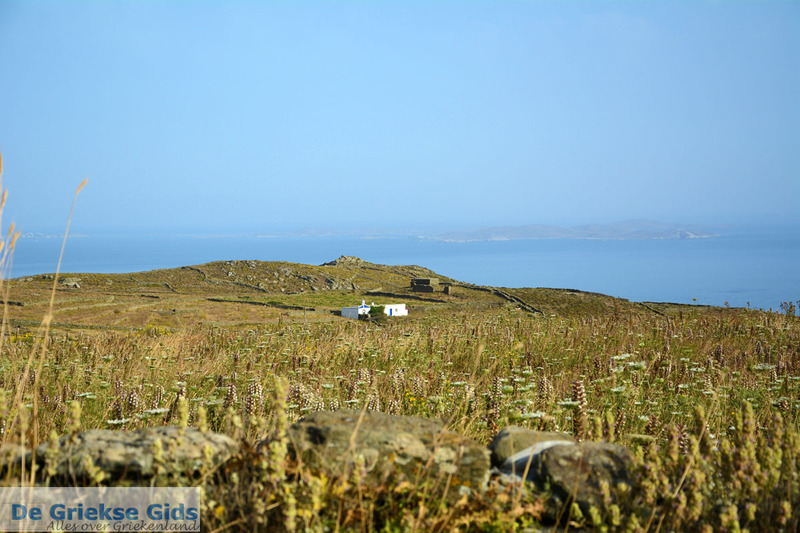 Fewer than thirty permanent residents inhabit Aghios Romanos. 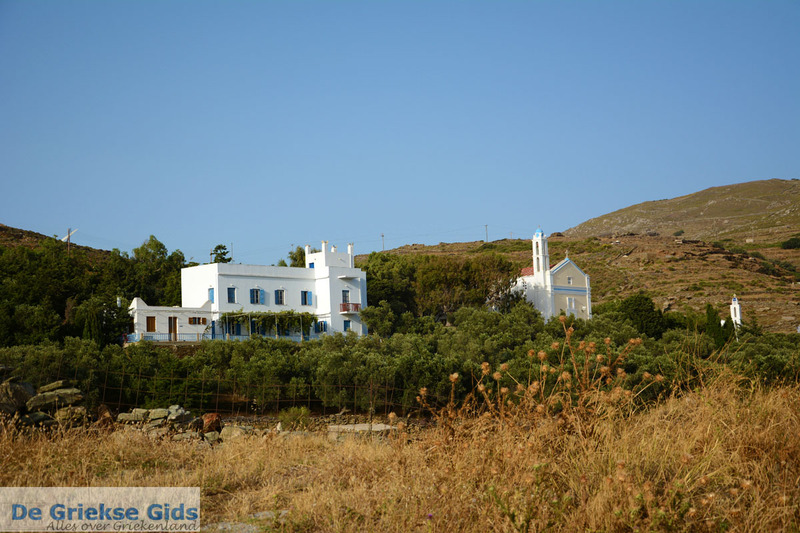 Slightly higher, just outside Aghios Romanos, is a place of pilgrimage for Catholics – the church of Panagia Vrisiotissa. 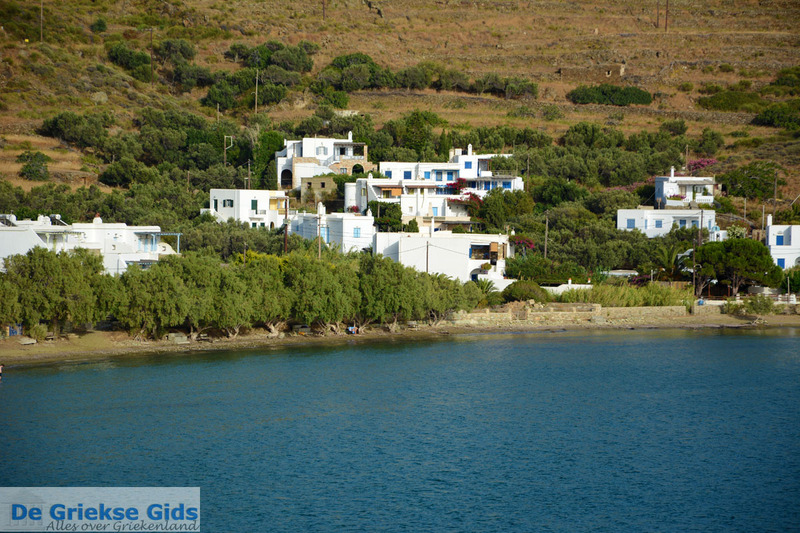 From here you have a wonderful view over the beautiful bay of Aghios Romanos. 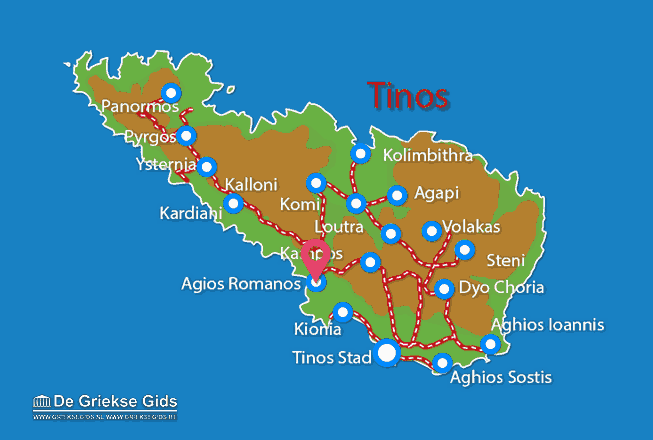 Tinos: Where on the map is Agios Romanos located?